I’ve been having my own little festival of citrus around here, especially because I’ve become addicted to the produce aisle at my local natural food store. They always have an intriguing collection of citrus fruits, many of which just aren’t available anywhere else. I went in to buy bergamots (above, left) and ending up finding not one, but four knobbly citrons. I was poking through the boxes and I almost had a crise cardiaque when I saw four enormous, lonely citrons lolling around all by themselves, being ignored, in a big wooden crate. They were only €5 per kilo so I bought two, and left the other two for some other lucky American baker living in Paris looking to candy citron. So I guess it shouldn’t surprise me that when I went back a few days later, they had a big, bulging case of citrons. But when I went back yet a week later (OCD much?) they were all still there, each one unfortunately getting soft and spotted. In addition to my colorful bounty of agrumes (citrus), I also had one Meyer lemon on hand that I gingerly carried back from Texas which was patiently waiting in the refrigerator, waiting to be used. Upon reflection, I don’t know why I only brought one back since there’s very few recipes that call for one single, solitary lemon. But then my brain honed in on lemon bars, which have a relatively thin, yet powerful filling, and I thought I would come up with a bar using just one lemon. I also thought that it would be interesting to try a gingersnap crust. I don’t know why. Maybe because it was 5:20am that morning and my brain wasn’t fully functioning? But I had the idea in my head and crawled around on all fours looking through the cupboards for Speculoos—which I knew I had…somewhere…which are similar to American gingersnaps, until I located the stray package. Yet when I tasted them, I didn’t really like that the crust conflicted with the lemon flavor. And I’m sure my neighbors downstairs didn’t appreciate me conflicting with their sleep pattern, either. I was disappointed, but then that’s why God gave us humans the power of reason (although I wish he gave me a little more…) and I decided to keep trying. I found the best balance using a regular lemon, and organic beauty which came to Paris all the way up from Provence, which I found at my trusty natural foods store. I’d blended one up, and added a few extra tablespoons of juice for more zing, and a little bit of butter just to smooth the way. When I tasted batch number three, I was blown away at exactly right how they were. I think I even said “Wow” out loud when I cut off my first square and tasted it. By the second and third, I was still exclaiming out loud how good they were. I hope I didn’t disturb the people downstairs. Note: In the post, there are pictures of the Lemon Bars with both the gingersnap crust (the darker ones near the beginning of the post) and the bars I made with the regular crust (shown at the end), which I preferred. Those look amazing! I’ve been itching to do some citrus-themed baking and these seem like a good way to kick things off. Using the whole lemon is a great idea, I’m excited to try it! I agree that many lemon tarts in Paris are very sweet–mixing lemon and lime is something I really enjoy doing. WOW Thanks for the link David. I am a lemon devotee yet have never tasted a citron or a bergamot. I did bite into a Meyer Lemon and found it not so sweet. Love the idea of using just one WHOLE lemon! I’m loving yr new photo with the captions – all my questions were answered. First, I love your photo with all the captions! Partly for the sneak peek into your world, and also because I learnt something knew with the vinegar comment. Second, I adore lemon dessert almost more than any other. Thank you for the recipe! This recipe is intriguing me. Next time I stumble over some organic lemons I’ll make these. Already looking forward to this moment. I love the picture with the explanations of your kitchen. I love to peek into people’s houses, especially the kitchen. These look amazing! I think lemon is one of my most favorite flavors. Have you tried it with chocolate? Soo good! This is a lovely recipe! And what a clever thing you do with the foil… thank you for sharing this! It looks perfect ! I love lemon and these bars seems to be so good… Thank you for the recipe and the beautiful pictures ! One of the first things I ever made were lemon bars, so these have a nostalgic sort of feel to me. A natural foods store just opened around the corner from me, must do some more thorough research around there. The pics are gorgeous. I can taste that lovely tart lemon burst through your lens! Nicole: I’m not usually up at that hour, except when I have a baking project or idea stuck in my craw. Unfortunately the shops aren’t open that early so if I need ingredients, I have to wait patiently. But the bakery across the street from me does open at 6:30am, and they’re in there baking a lot earlier than that. So at least when I’m up that early baking, at least I have some company! Have you read about the Belgian Speculoos “war”? They don’t have a government but that doesn’t stop them fighting among themselves over a spread made from cookies and vegetable oil. Which natural foods store are you going to? There’s a Naturalia around the block from us (7th), but it’s tiny, and they never have much produce… Lots of other good things, though. Or, maybe that’s changed since November? Marie: I’ve been going to the Naturalia on rue Saint-Antoine, which has a few aisles of things. I think they vary by location, perhaps, but I’m a little astonished that the prices are much, much less than the organic vendor at my market, who is basically just buying and reselling fruits and vegetables, like the natural food stores do. This recipe looks great, however, I would substitute arrowroot for the cornstarch. You get the same thickening ability but you don’t risk GMO corn. Arrowroot has alkaline ash which helps the body alkalinize, staying healthier. Speculoos is on everyone’s minds these days it seems! We love the idea of using the whole lemon in this recipe…certainly ups the lemon-y ante…and they look delicious. Oh my. As if there weren’t already plenty of reasons to be completely smitten with this site, but oh I do love lemons…and have been obsessed with whole lemon everything lately. What a perfect way to brighten up an unsually grey Texas morning – thank you! I have found that Meyer lemons just don’t make good lemon bars. They lack the tartness and acidity of Eureka lemons and end up falling flat on flavor in bars and in lemon meringue pies. 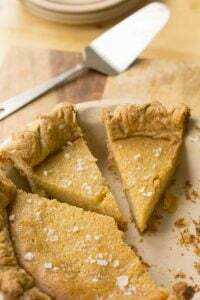 I came across a lemon chess pie recipe that I tried recently that used only 3 tbsp lemon juice, 1 tbsp zest and sugar with 5 eggs and 2 Tbsps regular cornmeal as the thickener. 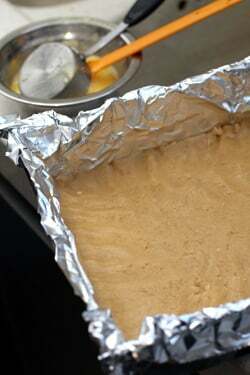 You let the mixture soak for half an hour to soften the cornmeal. The pie set up as firm as a lemon bar filling and the lemon flavor was vibrant (used Eureka lemon) for such a small amount of lemon in the filling. I didn’t waste the rest of the lemon, but thought it surely could have used the whole lemon in the filling. You’ve inspired me to do it the next time I make this pie. 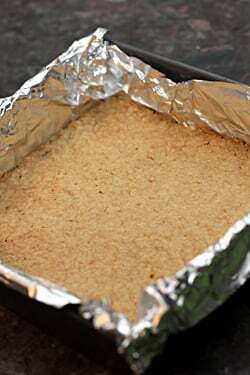 Of course, I’ll try this recipe first as a bar, but I was so intrigued that cornmeal (along with the natural pectin in the lemon and the large amount of eggs) was the thickener instead of corn starch or even flour that’s used in so many lemon bar recipes, and that the end result wasn’t gritty at all. With the larger amount of lemon, should I reduce the number of eggs for the pie? Sorry, don’t mean to hyjack this recipe for my questions, but I’m really just learning about the power of lemon pectin as a thickener in jam, and it’s made me curious about how to use it as a thickener in other applications. 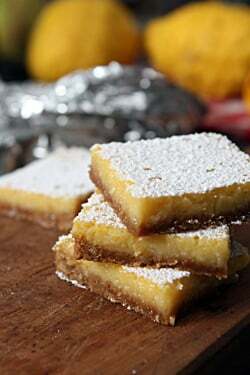 Those look amazing – I don’t even like lemon bars that much, but seeing yours, I think I am a changed woman. My birthday is next month, and every year I ask for a double batch lemon bars instead of cake–I kid you not. I may have to give these a trial run before then :) but I’m looking forward to this zestful treat. Thanks for obeying your obsession and sharing! I make Dorie Greenspan’s whole lemon tart and this is similar. I need to make these, give me a burst of spring. I’m thinking you kind of have a lemon fetish going on right now? There’s been many a post about Citrons. Hey, I’m not complaining! Keep them coming! Love these lemon bars, a reminder of how classic is best! Need to try them with our bitter oranges sometime. I adore lemon bars! I became totally obsessed last year with the recipe from Deb at Smitten Kitchen. Of course, I love the lemon part so much that often I think the crust seems to get in the way. My own version, which is just ever so slightly adapted from Smitten Kitchen’s, increases the pan size so that the crust is much thinner and then I increase the lemon filling to make it substantially thicker than the crust. In the end I think it’s the sunny lemon and the lemon bars it brings me that gets me through the cold gray winter. Gorgeous recipe. Thank you! Just bring your downstairs neighbors some of the lemon bars. I’m sure they’ll forgive you. I’ve got a mind to try these with some of the fresh, delectably yellow limes I got from my aunt’s tree the other day. Really lovely pictures. Love the classic lemon bars….but please don’t dispose entirely of the ginger cookie crust idea…maybe with mango?? Don’t leave us with a tantalizing peek of the slanted tile wall in the kitchen of your Parisian apartment AND an unfilled ginger cookie crust for God’s sake…. Ruby: It’s true that it might work with another filling. I basically substituted 1/2 fine gingersnap crumbs for the flour in the crust recipe if you do want to try it. But I really loved how they came out just as presented in the recipe. I Looove lemon bars. Thanks for the recipe. Last night I bought a cheap bag of Meyer Lemons…. after years of hearing the hype, I decided to take the plunge. I’m not sure if I like them. They have a very pleasant apperance…but I am not sure about the taste…doesn’t seem lemony enough. Do you think they would work in this recipe? If not, they do look rather nice on my counter. Lemon bars. Just what I need right now. And my gosh, those citrons are mighty large. Thanks – I think I’ll have a go at making these, as I have some lemons floating round my kitchen. Thinking about bases – the only pastry I can make is ,your recipe – if a ginger biscuit crust doesn’t work for you, what about a digestive biscuit one (graham crackers, but I’m fairly sure you can get digestives in most French supermarkets these days)? You’ve inspired me to create a new term. When it comes to meat, the rage is “nose to tail” eating. What you’re doing is “pit to pith” eating. Or is it “pit to peel”, or “peel to pith”? Now I can’t make up my mind! These are SO good David. I kind of wish you hadn’t posted the recipe! what! this recipe is a godsend, there is a citrus fest going on at MY local market, and i just bought myself one single meyer lemon and have been wondering what to do with it. thanks a mil! Please tell me where I can find that espresso machine. It’s gorgeous! Thank you for this recipe . . . I look forward to trying it! I am one of those lucky Californians that has a lemon tree in my back yard (along with a tangerine, lime, and orange . . . . I’m adding a Meyer lemon to the “orchard” this year. And I have lemons on the tree just begging to be adored in a good lemon bar! I’m getting hungry for these bars just reading the recipe and writing a comment! By the way, we now have speculoos in the States . . . Biscoffs (by Lotus) are available at most U.S. grocery stores (after being introduced on both United and Delta morning flights) and I understand that there is now a speculoo spread that is making the rounds . . . I’m intrigued by the idea! 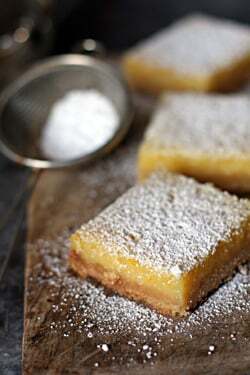 Lovelovelovelove lemon bars! 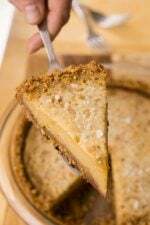 Love the idea of adding gingersnaps to the crust too! I have a lemon bar recipe from my great aunt that I just adore! She was a whiz in the kitchen and I love having her recipe to remember her by. Yours is pretty close… hers uses the zest, the juice and says to use the pulp from the lemon too. Hers has one more egg, but with no pith, that extra egg is probably needed to get the curd to set properly? So my question is…using all the white pith from a whole lemon doesn’t make the finished bar bitter? I’ve had bad luck in recipes that say to use the whole thing…a very bitter blood orange tart comes to mind. Gorgeous to look at but it made my eyes water with all the bitter. What might I be doing wrong…? Ooh, yum! It’s a friend’s birthday at the weekend and I was just wondering what to make him. The gingersnap base is an interesting idea, I think I might give it a go but use limes in place of the lemon. By the way, I read up your article on the various citrus fruits you came across in the Texas store and was sad to read no mention of sweet limes. My mother’s family belongs to the Caspian Sea region of Iran and they grow many kind of citrus fruits there but my all time favorite is what they call “Limoo Shirin” meaning sweet lime. They look like lemons but with smoother and shinier skin and the pulp is very sweet with a mild lemony and rose water fragrance. It is heavenly! I found them once at a Persian store here in the US but they just did not taste the same. They are far sweeter in Iran. Also, in India we have a kind of limes called “Kaaghazi nimboo” which means paper lime since they have a very soft skin and are easy to squeeze. They are great for pickling and drinks. I found a similar variety of limes in the Caribbean as well. In fact, in India we call limes lemons as western lemons are uncommon there and are called “Galgal,” primarily used for making pickles. You must not be so interested in hearing about all this but your post made me crave for these hard finds. I bought Meyer lemons at Whole Foods- they were on sale- and now I know what I will do(with one of them at least). I have made my own map and legend for my 36 hours in Paris and the only places not suggested by you are the train station and my hotel. I had to add the difficult to get to chaud chocolat place because I just read your book. I am tough- I will make it. I was trying to calculate the calories of the whole thing when my eyes fell on the storage information. I am still trying to stop giggling. (Please don’t misunderstand, I always appreciate storage information with recipes! David when you said “you loved biting down on the little chunky bites of lemon” my salivary gland ached and my mouth was watering. haha I wished I had one to bite into right now. These look spectacular!! I wish I could have a few of these right now. The citrons are huge and I have never sen one before. On another note, I would think the gingersnaps and lemon would pair really well. those aren’t the biggest citrus in the world! OOOH These look soooooo good. Will make them this weekend (long American weekend for the Presidents). 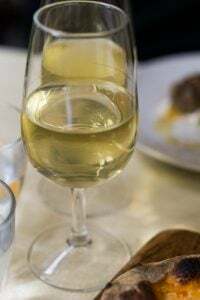 AND A THANK YOU FOR THE POST ON RESTAURANT ASTIER… I BOOKED A TABLE FOR 2/24 VIA THEIR WEBSITE. THEY RESPONDED WITHIN A DAY, AND IM LOOKING FORWARD TO DINING THERE NEXT WEEK! I was so intrigued by the idea of a whole lemon lemon bar, that I came home and made these, sacrificing anything healthy for dinner. :) However, I found that my bars came out sadly bitter. I am afraid that the lemon peel did not work for me. Could it be the organic part that makes the big difference? 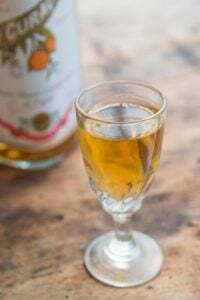 I love reading about your citrus exploits – here in Melbourne, Australia we are so lucky in my suburban backyard I have three lemon trees, two mandarin trees, one lime and 1 grapefruit tree. Will have to make the Lemon Bars for the next dinner party, as I am the designated dessert person. David, did you bring that one lowly Meyer Lemon back from SATX with you because it was the one I gave you off my tree before your class? How very sweet. Thanks for the recipe, can’t wait to try these when I get back from Baja vacation. Take care! Hey I just made lemon bars too! I experimented with Meyers, which was great, but I still preferred regular lemon too. Maybe because it’s the first version of a lemon bar we ever ate. It’s hard to change. You know you’re a foodie when you carry a Meyer lemon across the pond! I wish I could send you more, our neighborhood is full of Meyers right now! Have you seen pink lemons? My word.. these are fantastic. Just baked up a batch and wow. Thanks for the early morning musings. I dropped 10 g of sugar off the crust and the filling and its just a tart wonder. Full of amazing lemon flavor. The little bites of lemon are not at all bitter. Just lovely. Mon Dieu! I’m in citrus overload after your posts of the last week! Finished making marmalade then 3 days of citrus candied peels and now you have me on lemon bars at 23.00 I went down the garden with a flashlight to pick more lemons and am involved with lemon bars when I should be in bed. They’ll be delicieux with a strong espresso for breakfast. Cara Cara orange salad with puntarelle and new olive oil for dinner, Meyer lemon granita tomorrow! These look delicious, but you’ve upset my claims that lemons don’t come from Provence (maybe they are covered in winter) or maybe they came from Menton which is in the Côtes d’Azur and where La Citron Fête coincidentally starts today! I LOVE lemon bars. Thank you David. I will definitely make these! I am not a tech wizard: is there a way to print ONLY the recipe from your post? I usually just cut and paste the recipe into a word document then print but maybe someone could suggest a better method? merci bien. The citrons look so dainty begging to be used…. I have not had lemon bars since I was a wee one, I think the most that puts me off is the price of them here in Japan…. Lemons: I grow Meyer lemons in LA — but live now in France, and haven’t yet found them in the nurseries near me — but there is a citrus nursery near Nice I will be trying and this week is the Menton Lemon Festival, which I am going to— and if I find some plants I will let you know…. easy enough to take on the train to Paris???? leslie: If you’re visiting a nursery, you might want to reference citrus limetta, which may be what they call bergamots (or citrons doux) in France. Oh and I meant to say that now (with everybody being so diet conscious) I serve lemon curd in the those little apero glasses (no crust) and whatever berries are in season along side. So you can either dip a la fondue, or slather over the fruit……. We had a fantastic Moroccan meal in London’s, Momo restaurant at the weekend and for dessert we had lemon & orange blossom tarts. I guess orange blossom would be good in these bars too? Your bars look gorgeous, I will try them at the weekend, thanks. Lemons at the supermarket this week were 3 for 1.99. I knew there was a reason I wanted to move to Paris. Actually, it is because I had 3 extended stays there, but the 30 cent lemon is a good enough reason for me….smile…. I tried to make a lemon bar for the first time last week and the base went so soggy, I had to throw it all away. Your recipe sounds delicious. I love the idea of using a whole lemon. Suzy: I like the make sure the crust is hot out of the oven when I pour on the topping, as indicated, since that cooks & sets it faster and prevents it from getting absorbed into the crust. I’ve never actually made lemon bars before but those gorgeous pictures really make me want to stop what I’m doing and go for it right now! 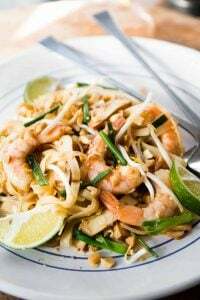 Hello David, I follow your blog enjoy reading your recipes and posts. I am an avid baker. I also follow Smitten Kitchen and have bought Dori Greenspan’s book and the “Flour” by Joanne Chang. I wanted to buy one of your books. Which one would you recommend? I want a book that captures the recipes that you think all dessert baking folks must have in their house. Would great appreciate your response. Thank you so much for all your blog posts and the great recipes! Its great being able to get to know a bit about Paris through you. Hi Chandana: I would recommend Ready for Dessert, which is a collection of my favorite dessert recipes and has a broad spectrum of cookies, cakes, candies, and other treats! David, you are a genius. I started to bake and cook with whole citruses – oranges, lemons.. – and I love it, but I never thought of turning the whole lemon into curd. It is a brilliant idea. One question – the bergamots on your picture do not look like what I find under that name in Italy, and you actually mention above in the comments that they are a different species. how do they taste like? ‘My’ bergamots are the ones that flavour Earl Gray, are very bitter to eat as they are to the point of being almost inedible, and have a ‘perfume-y’ quality that I find not so nice in food. They sound delicious. I would always recommend buying organic lemons, whether you are eating the whole of it or not, as the taste is so much better than the non organic ones. That looks so good. 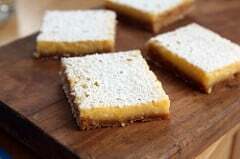 I love lemon bars but I’m so used to using extract or just juice. I tried making these and they are amazing! I’m thinking the next time I make them I’ll melt a couple of ounces of bittersweet chocolate and spread it between the crust and filling. It would combine my two greatest loves, citrus and chocolate. I am making something lemony for a friend’s birthday tonight. Have Meyers and Eureka. Is there a reason to use foil vs. parchment paper? If it is simply to create handles to pull out the crust later, does it matter? Perfect! Mr. gave me the gift of 4 Meyer lemons and I fancied lemon bars for my bee club meeting tomorrow. Naturally, I went to my favorite source (you) and low and behold! We are thinking the same thing! Thanks! I’m getting started right now on my bars! In addition to that, I’ll just say wow, Wow, WoW, about the looks of those lemon bars ! YuM ! And thanks for the reminder that it’s bergamot season…. David, I made these tonight and was so excited about how easy and simple these were, and how much lemon they had in them, but I found the lemon pith too bitter in the end. How do you get around the bitterness? Could you cut half the pith off or something? I’ve made the lemon bars with a wheat germ crust from John Barricelli’s SoNo Baking Co. book and they are great but way more fussy then your bars. I made these tonight and they are just delicious! 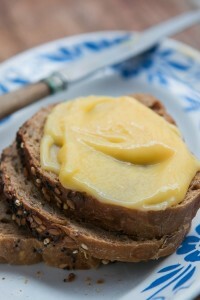 Very easy to make and I love the strong, tart lemon flavor. This recipe is a keeper – thanks! I too thought ginger would go well with lemon bars and made a shortbread for the crust and added powdered ginger. You could barely taste the ginger, I was super disappointed. Then I tried infusing the ginger to the lemon juice and it just tasted wrong. I love lemon tea with ginger. I don’t get what I’m doing wrong. Reading your post gave me hope that it’s not just me. Maybe the two aren’t meant to go together in a lemon bar. Let’s see which David Lebowitz recipe shall I make this Saturday afternoon. Yep… this will do. Love lemon bars, lemon cookies, lemon curd, almost anything with lemon. 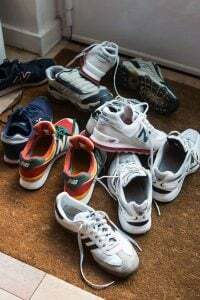 Will give these a try sometime. Love the site and your posts. GuruAmrit & Christine, Heidi and Kai: I’m not certain why some are bitter and some aren’t. There is a classic American recipe, Shaker Pie, that uses whole lemons, thinly sliced. As a few commenters noted above, Dorie Greenspan and Deb from Smitten Kitchen have recipes calling for whole lemons. A few other commenters noted they made these and were happy with the results. I did make them three times with lemons from 3 different sources. The only advice I could give would either be to use a Meyer lemons, or perhaps thinly slice a regular lemon, salt it lightly, and let it drain in a sieve (the salt draws out bitterness.) Rinse the lemons, pat them dry, and use them. Also be sure to use ripe lemons; they should be heavy for their size and perhaps a little soft, not rock-hard. Damaris: I know. It’s funny the things you think would be perfect, sometimes aren’t. Lemon is one of those flavors that is really good often just on its own. amusette+ Caffettiere: I bought an Italian bergamot the other day, which bore no resemblance to the French bergamots, so am interested in slicing it open and seeing more.You can read more about bergamots at the post I linked to when I made bergamot marmalade, including the links in that post. I always use parchment paper (baking pan liner). It’s so easy to lift a cake out of the pan with the paper. In my experience, on the East Coast, parchment paper was (is?) 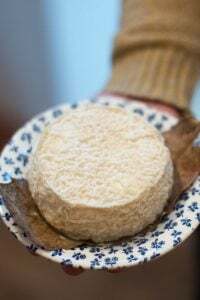 hard to come by and expensive (think specialty stores and a $4-5 range for a roll vs. little more than €1 here in grocery stores). That is my explanation why American cooks rather use aluminum foil. David, what is your take on this? I made the lemon bars yesterday – they are amazing. Thank you for an easy delicious go-to recipe. I posted my pic of your bars on Facebook and my friends are going nuts! I made these yesterday and converted them (well tried to) to gluten free. I miscalculated the flour and they were still good. Today will try again and I know they will be great. Love the whole lemon idea – the topping set up just fine. My base was off. I admire you so (no not a stalker -just an admirer). 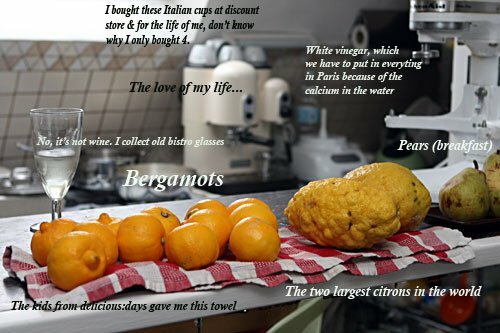 Went to the organic market and got beautiful Sicilian lemons for 0,35 eur each…bargain! I love using the entire lemon but did find there was a slight, bitter aftertaste. Wondering how to avoid that??? My only problem was that my aluminum foil tore and the bars were difficult to remove because the batter went under the paper. Next time will butter the pan before adding foil. And also try not to tear it! Thanks for another great recipe David! I just made these and they were absolutely perfect. My husband thinks that they would be definite country fair winners! I was too lazy to get out the food processor and just used my Bamix with the chopping blade. Very easy. Thanks to you David for another brilliant recipe. I’m so intrigued by the idea of using whole lemon. I can’t wait to try these. Aussi, I was up until 2am finishing The Sweet Life in Paris. I have added to my list of places I must visit next time I’m there…and new recipes in the meanwhile. Merci! I just made this, but as a tart rather than bars. And I used a wholemeal version of your French tart dough as I found I didn’t have enough white plain flour. Very good indeed, I thought – possibly not as good as made by a professional patissier, but I don’t pretend to be that. Another time, if I use wholemeal flour, I’ll make it 130 g not 120, as I thought the dough was a little over-fatty, but it tastes good! Made these today, can’t wait to try them at mom’s tomorrow !! Isn’t it funny how sometimes nothing will do but a plain, simple, honest lemon? I’ve been having a one-man citrus extravaganza over here lately, and I can’t even tell you how many recipes I’ve ended up surrendering and remaking with regular lemons. Completely off topic but I have no idea where to post this question! Re Guiness milk choc ice cream- how would using a semi sweet eg Callebaut 811 compare as a substitute to the milk choc in your opinion? Is there a reason specifically for using milk choc? Apologies if the questions sound ignorant but I am intrigued by the recipe but really don’t know very much about Guiness. I made these today. My lemons were only 4oz, so I used 1 1/2 but I think it was too much pith and peel because there was a bitter undercurrent. The consistency and texture were perfect and I loved the bright lemon flavor. I doubled up the recipe and baked these for a brunch today. 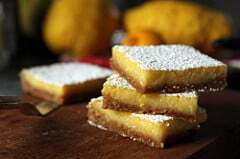 My daughter and I made these lemon bars last night using Meyer lemons from our trees – we live near SF. The crust was fabulous but we also had a bitter after taste. I liked using the whole lemon. Was it the white pith? I may try them again using eureka lemons. I have two Meyer lemon trees full of lemons right now! I would have thought the gingersnap crust would have been a nice twist to the typical lemon bar, but it sounds like it didn’t pass the taste test. I’ll stick with the usual crust, that’s what people expect when they bite into a lovely lemon bar anyway, right? it worked a TREAT! thank you so much for posting this! ps… and your cheesecake brownies went down well too, so looking forward to going thru more of your recipes! you ve definitely got a new fan here! I just had to try this recipe right away in order to relieve my skepticism vis-à-vis using the entire lemon, pith and all. Well, consider me unskeptical as these are the most delectable lemon bars I have ever had the pleasure of tasting. Thank you so much, David, for all the early morning R&D you performed on our behalf! I’ve got a bunch of meyer lemons that I need to do something with so … lemon squares. I’m going to attempt this with GF all purpose flour. Love to hear from other GF folks who tinker with this recipe. David, as usual you inspire me to cook up a storm. I made the lemon bars last night and they are amazing! I reviewed them on my blog this morning. Just made the lemon bars. You’re right, David, they’re perfect. This is going to be my go-to recipe when I want to make a quick treat – I’ve got 2 lemon trees outside my kitchen door. I have groups of 5-10 women here once or twice a week and they need treats. Love your blog and your FB posts. I had lemons pining for a purpose in my fridge just as this post came up. And, yes, this is a delightful lemon bar recipe and possibly the best ever. Pulling back on the sweetness really brings out the butter (and I have to confess that I didn’t use the whole measure). The bitterness from the pith is refreshing, and my pan definitely had a piece missing before it left the house. I look forward to making your lemon bars- they sound wonderful! Finally a lemon bar that tastes like my previous fantasies of lemon bars. These sit up and bite back. Wonderful!!! Thanks for this recipe, definitely a keeper. I made these twice. The first time they were perfect, except for the extreme, clinging bitterness. The second time I made them I used a veggie peeler to remove the rind, a sharp knife to remove the pith (which I discarded) and then chopped the rest of the lemon and proceeded as directed. They were fabulous! Interesting recipe..I will have to give these a try. A perfect recipe for the Spring that I can feel is just around the corner. I made these yesterday, and they are amazing! So lemony and tart they remind me of summer day. Thanks, David. Yes! I just discovered that putting a quarter of a whole lemon in my morning fruit smoothies makes an incredibly flavor, very delicious! These bars must be amazing. These were amazingly perfect and a very special summery treat on a snowy New England day. Thanks for all of the leg work you did to come up with a great recipe. I made it on my blog today! In Ashland, OR lemons are currently $.98c each or $1.15 each for organic! Should I move to Paris to save on groceries? Hmmmm. Annie: I don’t think people move to Paris to save money (!) but was surprised when I brought my lemon to the register and that was the price. David , today my greengrocer received me with a big smile,yelling-“Buon giorno Candela it’s your lucky day ! & a bag full of beatiful organic lemons in his hands ! !,euros1 x Kilo! and two lovely cedri (citron) =) Shall I send you some? 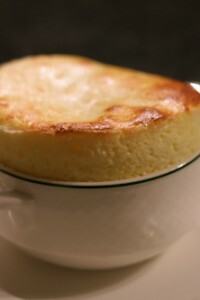 And now I’m thinking… lemon bars,tarte au citron? I can safely dispose of all other lemon bar recipes because this is the only one I will ever use again. I was able to pull mine from the oven at 18 minutes so be sure to check them early and often. Best lemon bars ever! I substituted some of the flour in the base for semolina for crunch and added an extra yolk that I had lying around. I enjoy reading this blog very much for the variety of posts and recipes, especially travel to Switzerland. Can’t wait to try this recipe. Do you use a whole lemon then an additionlal 3T freshly squeezed lemon juice from a 2nd lemon? Thank You! These were amazing! I used a couple of tiny Meyer lemons for the whole lemons and a regular lemon for the juice~ the finished bars were perfectly tart, not at all bitter and not too sweet. I think the next time I make them I’ll try making a chocolate variation on the base. Thanks for the recipe! WOW !! I’m eating one right now…Estas si que son Lemon Bars!! Amazing! I hope I’m not disturbing my neighbors with my WOW (loud) exclamations! ;) THANK YOU. Thanks for your great blog! I didn’t have lemons, so I just tasted a batch using limes. Whew–very “rindy.” Although I do not have anything to compare to, I think they are too tangy for my liking with limes. The texture and crust are wonderful. I will try with lemons and do a comparison soon. It’s all about the shortbread. A good lemon bar will have a nice crisp sturdy crust. How’s yours? Re the big lemon, I was in Fez (Morocco) last week visiting family and I’ve seen almost the same geant lemons in her garden, although the same tree was giving different shapes…Few of them were just geant! and very juicy. It was hilarious! Since they have wonderful soil, things grow up without “human push”! I made this today. WOW! The best lemon bar ever. Your recipes never fail. absolutely divine. . .Can’t wait to try out your other recipes. if i skip the eggs in the lemon topping, will it still cook properly and not be runny? i don’t eat eggs at all, so it’s an ingredient that i must skip. i usually use a powdered egg re-placer, but i’m not sure if it will work out with this recipe. Yum! Made with the single Meyer lemon from our tree – I had been trying to decide what to do with a single lemon. My other half had even pollinated the flower for this one, so we dod not want to waste it. Easy to make, and love the slight bitterness from the pith. Big hit at dinner. Do you use a thick or thin skinned lemon? Also I think this might be good with some fresh ginger grated into it. 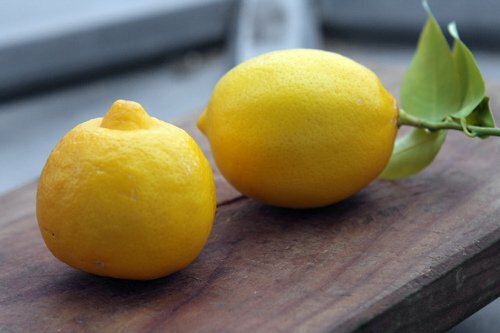 jer: The first time I used the Meyer lemon (shown above, right) then the second, I used the lemon shown on the left. Then the third time I used a standard lemon, a variety called citron de Menton. I’ve followed your recipe and almost died of happiness :) Here it is, in French, with a few minute changes and my impressions of the whole thing. And I’ve made it twice already!! 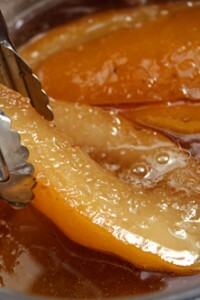 Dear David, I tried your recipe, and want to make it again as soon as possible: great taste! The funny thing was that after I poured the lemon topping, the crust started floating and the topping became the bottom. I realized this after i took the pan out of the oven and couldn’t say why the lemon cream looked so brown…Then I simply had to turn everything upside down, and still they looked nice after cutting, further than exstremely good. Yet I ask myself what should I do next time to prevent the floating. Insane about them! Used a meyer lemon and lime juice (our limes are yellow and I always forget that they are limes). Trying to give some away so that I don’t eat the whole pan myself. David, these were SUBLIME!! Almost every other recipe is too sweet. I was tempted to leave out the pith but decided to give them a try just the way you wrote them. Everyone said they were to die for at the party. This, even from a chocoholic!! A friend just gave me a mandarin, so I thought I would try the recipe with a mandarin and a lime. I don’t think anything would be tastier than the lemon bar, but I just have to give it a whirl. Hello David, I am a proud owner of “Ready for Dessert”. It was delivered yesterday and I have been going through it .. great fun! I will make the Ginger Cake tomorrow. I am in search for the perfect moist very coconutty Coconut Cake. I have baked Bobby Flays version (http://www.foodnetwork.com/recipes/bobby-flay/throwdowns-toasted-coconut-cake-with-coconut-filling-and-coconut-buttercream-recipe/index.html) and the Americas Test Kitchen version (http://www.americastestkitchen.com/recipes/detail.php?docid=4947) and the cakes turned out a bit dry and not as coconutty as I would like them. I was very happy to see that you have a Coconut Cake recipe, but was surprised to see that you do not use any Cream of Coconut, Coconut extract or Coconut Milk … is the cake coconutty enough? How would you suggest I add in more coconut flavor? I thought you were a little nuts to use the whole lemon but I just made these and they are PHENOMENAL. I assume it’s adding the filling to the hot crust and returning it to the oven that causes the short bread crust to have 2 separate layers of texture and taste. The layer touching the filling has the texture and taste of a nice buttery brittle and the bottom layer has a texture and taste like a traditional shortbread crust. It’s absolutely delicious. I REALLY love the lemony goodness of this recipe and I don’t mind the slightly bitter aftertaste that the pith gives. You only really notice it if you are tasting the lemon filling on it’s own. If you taste a complete bite it is nullified by the awesome dual flavored crust. 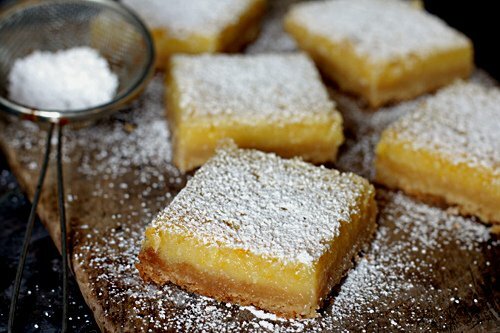 Without a shadow of a doubt these are the BEST lemon bars I have EVER had.I will definitely make again but next time I will use a Meyer lemon and less sugar to see which I prefer. Your lemon bars were really good the first night and reached superb the following morning after the sugar had penetrated the bitter pith. I modified your recipe to use beurre noissette (aka brown butter) in both the crust and the filling. I used two small whole organic lemons with the juice of three (as small as Meyer Lemons). Each lemon yielded a mere tablespoon of juice. Next time I will process the lemons with the sugar and leave the mixture out to macerate obernight at room temperature or preferably 24 hours, to tame the bitterness of the pith. The short crust was superb when baked, with a nutty taste that was not too sweet. On the other hand, the bitterness of the lemons was immediately evident but tartly refreshing, reminding me of gremolata, without garlic bien sûr. It was a palate cleanser. The next day it was much less bitter, merely bittersweet. Consider making these modifications and using one and half times the quantities, and baking the result in a tarte pan with a removable body. This would yield a superb lemon tarte. Your recipe reminds me of Shaker Lemon Pie which uses two lemons with the seeds removed and the lemons (excluding the ends) thinly sliced perpendicular to the line joining the stem and bud end, left to macerate with sugar overnight, drawing out the juice and penetrating the pith. This is my new favorite lemon bar – so flavorful, and I love the little bites of zest I get. And that crust is amazing, yum yum yum! hello David …the ginger cake turned out really good :). Any tips for making the coconut cake more coconutty? Hi David– Bought organic lisbon lemons at the Oakland Friday market 5 for a dollar! Made it exactly per the recipe except shaved off about a 1/4 cu sugar from the topping. (Couldn’t resist tinkering.) I liked the slightly bitter note at the end, but next time will be good and put the whole cup in. Take care. Dear David, these are THE best. Just made them and they are divine!!! Next time will be doubling the recipe :) Looking forward to more of your creations! These are simply delicious. Your recipe will replace the recipe I’ve been using for the past 20 years — they’re just that good. I used meyer lemons from my tree. I may try using a little less sugar in the filling the next time around. I used one tablespoon of tapioca starch instead of 4 teaspoons of cornstarch (never buy cornstarch anymore since I started using tapioca starch) in the filling and it came out perfect. Love your blog and chuckled and drooled my way through The Sweet Life in Paris. OK cool .. I will try doing that .. and will let you know. I read somewhere that you were hoping that someone would make the coconut cake and mail it to you .. I also read on Facebook that you are going to be in the US for book signing .. I will be happy to mail the cake to you if you let me know where to mail it to you :). You can respond to me on my email directly. Thank you .. I continue to enjoy reading your book !!! I made these for a house party this week and they were gone in 5 minutes although I most probably over-baked the crust (they were simple brown rather than golden and that’s not my fault but my tiny ovens). But now I know to bake it a bit less on its own. I remember one guest shouting this is the best dessert ever. So thank you, for all your experimentation and dedication to find the perfect tangy-bitter-sweet combination. I just made these this week. They were the most amazing lemon bars I’ve ever tasted!